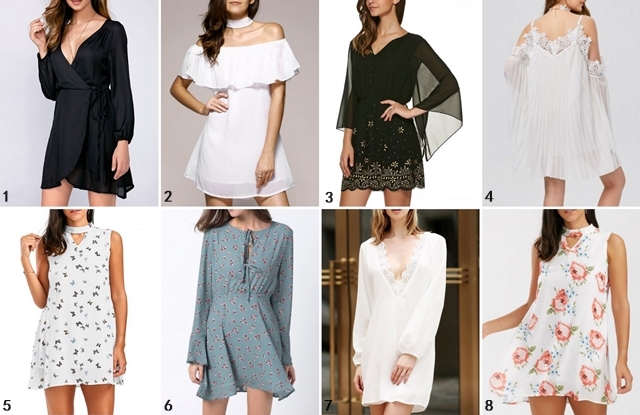 I thought I'll show you my Top 8 picks of chiffon mini dresses from Rosegal that I think would be perfect for various occasions. Chiffon dresses - chiffon anything - always makes me think of spring. They're lightweight, flowy, and feminine. I can see myself wearing these for a night out, brunch, or even just for shopping.